Located right outside the northeast entrance of Yellowstone are the wonderful mountain towns of Silver Gate and Cooke City, Montana. These tiny towns offer a few lodging, dining, and shopping opportunities, but the location is what makes them superb. Why should I visit Cooke City Montana? Cooke City is an ideal basecamp for visitors who enjoy laid back accommodations, fewer crowds, and personalized hospitatlity. It's the quietest gateway town to the park, yet offers charm, some services, and easy access to outdoor recreation. In the summer you can access Cooke City from the west (Yellowstone) or the east (Beartooth Pass). In the winter, Cooke City is more or less a dead end for a winter park driving tour. Where is Cooke City Montana? 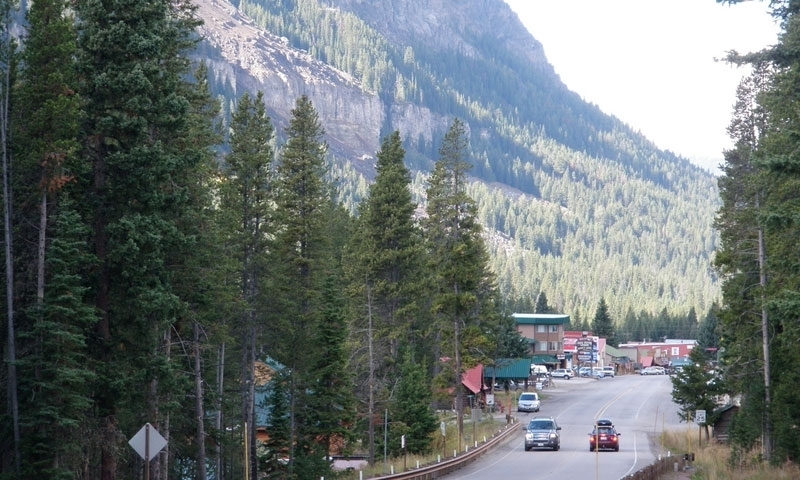 Located just outside the northeast entrance to Yellowstone National Park, Cooke City is a remote mountain town. Throughout the year, you can drive through the northeast corridor of Yellowstone and Lamar Valley to access this town. This is one of the few stretches of road that is open within the park. During the summer, you can drive between Cooke City and Red Lodge via the Beartooth Highway. This is one of the most scenic drives around and its vast vistas are jaw-dropping. This road closes in the winter. What services and amenities are available in Cooke City? Services include a visitor center, ATM, two gas stations, one very small grocery store, snowmobile rentals, and guide services. There are a handful of restaurants (including a few popular saloons) and a couple dozen places to stay (including motels, B&Bs, and vacation rentals). What can I see and do in Cooke City? Cooke City offers some of the best access to the park, especially for viewing wildlife. Easily explore Lamar Valley and a number of hiking trails right after entering the park. In the winter months, rent a snowmobile from the gas station and explore some of the nearby backcountry or cruise along Beartooth Road that is closed to vehicles. You can access a wide variety of terrain, great for cross country skiing, right from town. This is one of the most stunning scenic drives around and should not be missed if you are visiting during the summer months. Prepare for epic views and steep switchbacks. Test your luck along the Clark's Fork of the Yellowstone or head into the park and fish Slough Creek or Lamar River. A little further east from Cooke City, national forest service campgrounds appear one after one along the highway. Spend a few nights in an RV along this corridor. More Cook City and Red Lodge Montana info.